Potentially the best thing about working on the Neo4j team is getting to experience the passion and excitement of our remarkable community. Don’t get me wrong – sitting in the park with Emil and his adorable one-year-old daughter during a fika is pretty stellar. Actually, that might rank slightly higher, but, alas, that is not the point of this blog post. 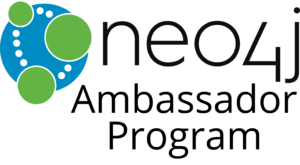 The bottom line: The Neo4j community is due their fair share of recognition and appreciation from us here at Neo4j HQ. These Ambassadors are Neo4j experts and graph enthusiasts who have shown their love for graph thinking and are committed to sharing their knowledge and experience within their communities and our larger, global network. Ambassadors actively participate in local meetups, speak at industry events, engage in discussions on Stack Overflow, publish blog posts and lead workshops on graph technology. We are proud that our Ambassadors represent the graph database community internationally and across industries. From Sweden to Brazil and the U.S. to the U.K., we are excited to welcome champions from banking, finance, IT, healthcare and more. Without further ado, we invite you to meet our inaugural group of Neo4j Ambassadors! Make sure to look out for them at local meetups, conferences, and, of course, GraphConnect San Francisco. Interested in connecting with an Ambassador or having one speak at your event? Feel free to reach out to us via email at ambassadors@neo4j.com so we can connect you with the perfect Ambassador. Think you’ve got what it takes to be an Ambassador? Request an invitation to the program by emailing us at ambassadors@neo4j.com. Want to learn more about Neo4j? Click below to get your free copy of the Learning Neo4j ebook and catch up to speed with the world’s leading graph database. Hi Christiano, the email should be updated now! Thanks for pointing out the problem.